You are here: Home / Blog / General Information / Born in October? You Can Celebrate with Tourmaline or Opal Jewelry! October is another month with multiple birthstones. October has two, Tourmaline and Opal. Tourmaline is available in a wide variety of colors. Tourmaline is known for displaying several colors in the same gemstone and can be found for any taste. These two and three color gems are formed in many combinations. Gemstones with clear color distinctions are even more valuable. One multi-color variety is called watermelon tourmaline, and features green, pink, and white color bands. The gemstone is cut into thin slices having a pink center, white ring, and green edge. 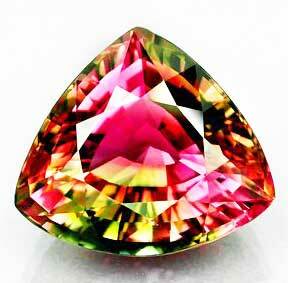 Tourmaline is found in many localities including Brazil, Afghanistan, East Africa, and the United States. The name opal comes from the Greek word Opallos, meaning to see a color change. 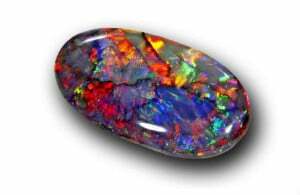 Opals range in color from milky white to black with flashes of yellow, orange, green, red, and blue. Opals are desired because of the interesting contrasts between their primary color and the background. Opal is a formation of non-crystalline silica gel that seeped into crevices in the earth’s crust. With natural heat and time, the gel hardened to form opals. The mines of Australia produce more than 90% of the world’s precious opals.